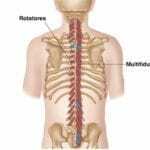 Inside: Anyone with back pain or poor posture will want to learn how the erector spinae muscles function. This will help you feel better ASAP! Chances are if you’ve come over to read about the erector spinae muscles, you’ve got some back issues. Maybe you’re hurt, have poor posture, or have recently been informed by Dr. Google that you have some serious muscular issues. Either way, bravo for taking the time to get to know this often overlooked, underused, or misused muscle group. Thanks to What are Muscles for the image. The erector spinae, which is also known as the sacrospinalis, is a group of muscles along your spine. 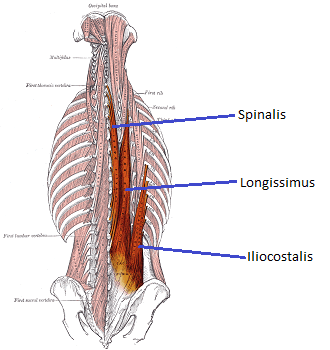 Three muscles are part of the erector spinae: the iliocostalis, longissimus, and spinalis. Each of these muscles is a group in an of itself, with a portion of each muscle in the low back, middle back, and neck. 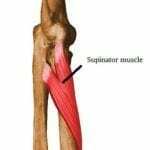 With so many muscles that are a part of the erector spinae muscle group, it’s no wonder that it often gets blamed for back pain. And, as we discovered recently, the iliocostalis lumborum (which is part of the iliocostalis muscle group) is a common cause of issues. Plus, think about this–if the iliocostalis lumborum is often a cause of pain and it is the bottom part of the chain of iliocostalis back muscles, it can cause pain all the way up to your neck. A tight spinal muscle at any spot along the spine can cause issues either above or below it. any combination of the areas above. Trouble-shooting back pain can leave you holding your back and scratching your head. Here’s more about the erector spinae and what you need to know to better understand these complex muscles function. 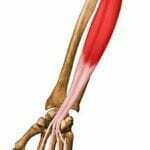 Because this is a muscle group, there are several points of origin. They include: the sacrum, iliac crest, spinous and transverse processes of the vertebrae, and the ribs. So, the erector spinae originates from your tailbone, along the back edge of your pelvis, up your spine, and along your ribs. 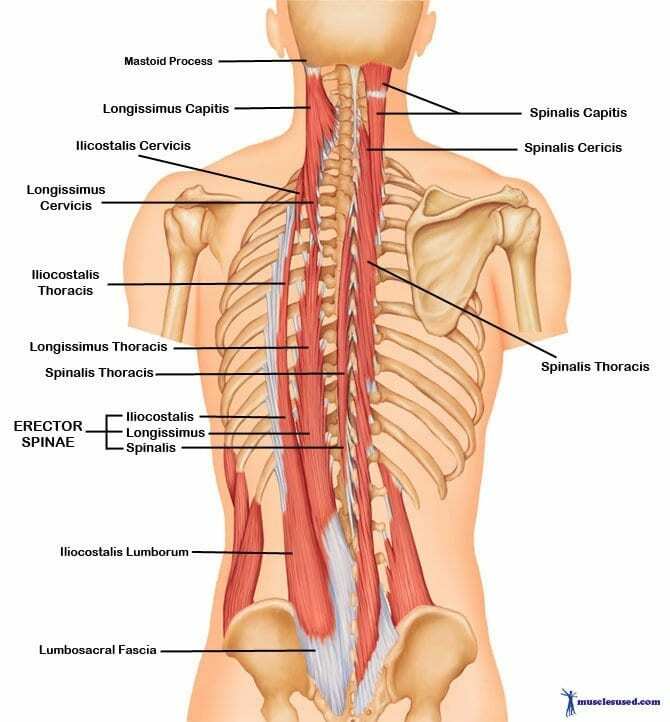 Basically, when you run your hand from the middle of your sacrum, up along your spine, including the space an inch or so away from the spine; you are feeling your erector spinae muscles. The erector spinae insert on your ribs, the spinous and transverse processes of your vertebrae, and on the occipital bone. So, when you look at the origin of the muscles in this group, work your way up the spine and you’ll find their insertions. The occipital bone is the back, bottom part of your skull. Since the erector spinae originates on the sacrum and inserts on the occipital bone, you can see that the muscle runs literally from tail to head. The main task of the erector spinae is to extend and laterally flex the spine. This means that it’s a major muscle to help you bend backwards and straight to the side. Another main task for this muscle group is to maintain the correct, neutral curvature of the spine while sitting and standing. Also, it steadies the vertebral column on the pelvis when you walk. As with all muscles, injury can occur when the muscle is weak or incorrectly used. A common cause of erector spinae injury is lifting without help from the knees. Injury can also occur when lifting or holding an object in front of the body. If you are in pain, go see your doctor. Your doctor can order imaging, therapy, and medicine to diagnose your issue and help you recover. Depending on the severity of your injury, you might also be prescribed physical therapy. Once you are cleared by your doctor, there are tons of exercises you can do at home to help strengthen and restore function to the erector spinae. 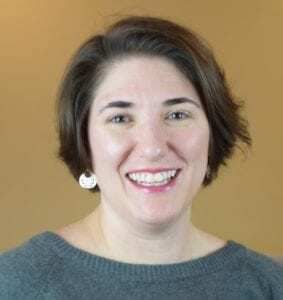 If you’re ready to just skip ahead and get my cheat sheet for how to get rid of pain anywhere in your body, sign up here. You’ll receive my FREE digital guide, How to Get Rid of Pain Anywhere on Your Body. Whenever you’re creating a therapeutic workout for yourself, you should think about what your target muscle does. Incorporate exercises that do the action of the muscle and also make sure to do exercises that do the exact opposite. laterally flex the spine (like Side bend prep, Mermaid, Triangle pose, and Side angle pose). All of these exercises and poses will strengthen the erector spinae. You also want to incorporate spinal flexion and rotation to stretch these muscles. I suggest Cat pose, Roll ups, Obliques, and Simple seated twist. If you’re having back pain and you’re not sure if it’s from the erector spinae muscles, check out Muscle-joint-pain.com for some great illustrations of the trigger point locations. I consulted The Concise Book of Muscles by Chris Jarmey. Recently, the book was revised and is in its third edition. I love this book as a quick go-to guide for easy to understand anatomy. For those who are more interested in technical terminology and smaller muscles, I recommend Flash Anatomy Muscles Flash Cards. Any time a client comes to me with pain, I use these flash cards. If you want to learn all of my secret tricks to get rid of pain in any joints or muscles, sign up to receive your FREE digital guide, How to Get Rid of Pain Anywhere on Your Body! What’s your favorite way to strengthen your erector spinae? Let us know in the comments below.